Founded in 1997, we are the oldest alternative pipe and tobacco store in SW Washington, and we want to extend the Evergreen State hospitality to smokers everywhere. We are Real People offering Real Products at a Real Value. We carry only 100% American made hand blown glass pipes, and most of our glass selection is made by Smokin Js in-house blowers! Aside from all of your smoking utensils and accessories, we offer over 2,000 products from drinking games and puzzles to tapestries and incense. We have something for every member of the family. At Smokin Js you will experience outstanding customer service, the way it should be. Our knowledgable staff is here to help you seven days a week, any time of the day. We aren’t interested in being the coolest, just the best. 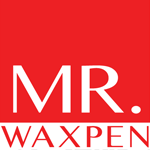 Mr. Waxpen sells vape pens for wax concentrates, herbal vaporizers and vaping accessories.